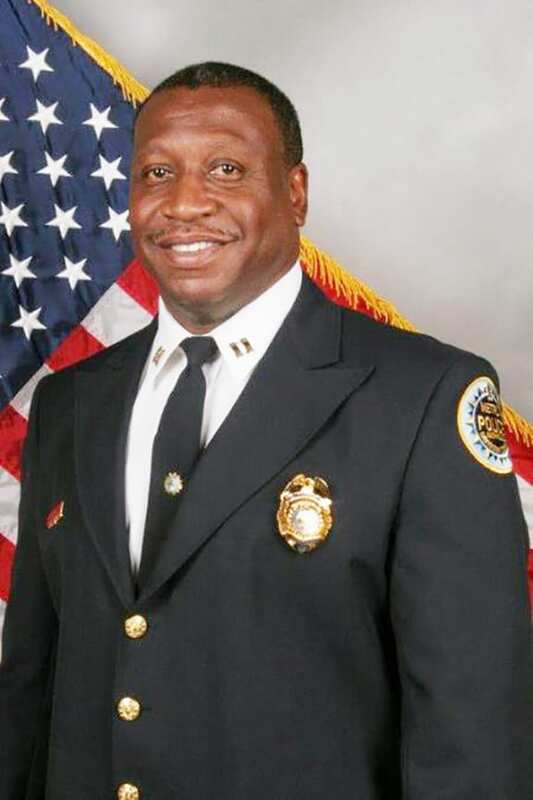 Metro PD has promoted John Drake to Deputy Chief of Support Services. NASHVILLE, TN — Police Department promotes veteran police officer to Deputy Chief of support services. John Drake joined Nashville’s police force in 1988 as an overnight patrol officer. In his nearly thirty years of service, he has held several positions in different departments including Vice, the Police Athletic League, and the Domestic Violence Division. His role as Captain of the Domestic Violence Division was notable, as he was the first male and African American male to hold that position. As Captain he initiated several programs that continue today, such as the brutality assessment protocol for first responders to assess the victim’s safety and discern risk for lethal assault. Drake’s diverse background will serve him well in his new department. Support services covers everything from personal property and evidence, hostage negotiation, canine division, aviation, horse patrol, and special events such as police presence at downtown holiday celebrations. Drake’s career has cultivated many memorable moments. “When I was training to be a sergeant, we were running around looking for a kid who hadn’t gone to school. I saw an apartment that was on fire and was able to get people to safety before anyone had even dialed for help.” Drake received accolades, including the Safety Award, afterwards. His time in the Police athletic league cultivated more memories, and reminds him of why he chose his career. “The Police athletic league was a highlight. It was a way to give back to the community. We used sports as a hook, but talked about things like life and self-esteem. I still hear from these kids. I still receive invitations to their graduations.” One of them just graduated from the Police Academy. Drake plans to foster more engagements with kids, to show them there is a positive way to get out of their unfortunate situations. Drake’s own introduction to police wasn’t positive. He grew up in East Nashville, then crime-ridden, and only saw the police through the same negative lens as his neighbors. Ratter than stay in that mindset, he chose to be a part of the change and entered the Academy. “Only way to change is to be a part of the change,” he says. The early days of his career proved how important his ambition was. “Back then policing was reactive. We responded to calls, but there were few positive interactions,” he states. Current stories in the news and on social media show there is still a need for improvement. Drake’s aware of this, and while he feels these incidents only reflect a small portion of the policing community he knows there is still room to grow in his field. He does feel change is a responsibility for both the police and the community. “People will walk down the street and warn kids, ‘If you do something wrong, an officer will arrest you.’ “ He hopes the community can embrace police as an integral part of a thriving community, rather than just a tool for punishment. This is a legacy he hopes to leave and will continue to pursue. Drake’s promotion was effective on July 1st. The ceremony will take place later in the year, but no specific date has been chosen.